If your bathroom is behind the times, modernize it by following a few quick tips, such as making creative use of color, updating key fixtures and changing your decor. Even something as seemingly minor as switching from a straight to a curved shower rod can give your bathroom an updated look and feel. A more significant and obvious change, such as selecting new bath vanities, transforms the appearance of the entire room. Whether you choose a curved chrome shower rod or a curved adjustable shower rod, the result is extra elbow room while you are showering, which allows for a more luxurious experience. Another quick way to make your bathroom look fresh is to add a new coat of paint in a neutral or soothing shade. Save the vivid colors for your new accessories, such as thick towels, non-slip mats and soap dispensers. 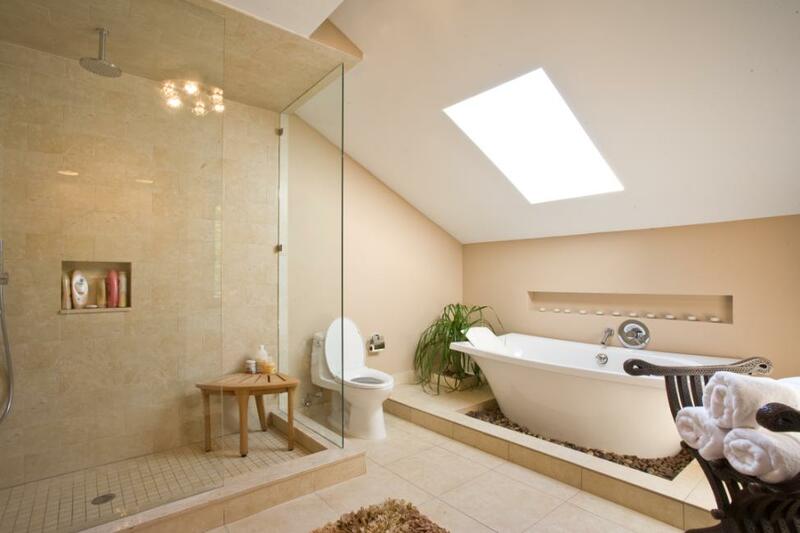 Replace old, cumbersome toilets and tubs with sleek models that take up less room and waste less water. Also, trade in your outdated bath cabinets and vanities for modern units with plenty of storage shelves. As for your ancient wall sconces, junk them in favor of a bright overhead light that makes the room appear larger. Worn-out faucets, cabinet knobs and curtain hooks are easy to replace with shiny versions that bring a lively look to your bathroom. Modernizing an outdated bathroom does not usually require major, time-consuming changes that leave your home in a state of construction for weeks. Some quick fixes, such as purchasing and installing new towel racks and grab bars, are easy to accomplish within a few hours and successfully transform your bathroom from outdated to up to date.